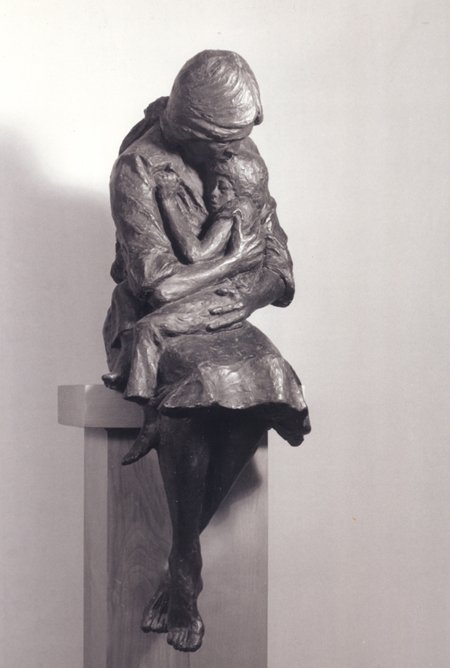 Caring is one of my first sculptures I ever made when I just had set up a foundry in Louisa, VA. The sculpture was designed for the medical center there. Copies have been placed at several medical clinics and hospitals. Lifesize, bronze. A twelve-inch version is also available in bronze or mixed media.